This charcoal high low strappy top is perfect for feeling comfortable and looking classy - both at the same time! Super soft fabric. 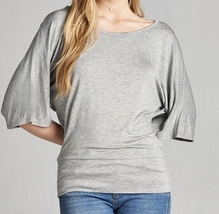 Soft v neckline.